Each real estate transaction comes with mountainous stacks of paperwork, countless showing requests that need coordination, inspection meetings, ongoing marketing obligations, frequent bank and/or buyer negotiation meetings, seller updates, comparative market analysis, MLS modifications, numerous telephone and Internet requests for information, and much more. And often, this is just over the span of one day! In this market, real estate agents are busy with multiple transactions all going on at the same time. A successful Agent Team specializing in the Tampa Bay area is experienced at delegation and multi-tasking, accomplishing things that would require a single agent to work unrealistically long hours per day. Since your home will be competing with many others, you will want to feel confident that the continuous marketing efforts to get your home sold are and being monitored and adjusted for effectiveness. The Team concept is so effective because it allows your agent to focus on sales related activities, while other team members focus on completing the non-sales related tasks. This results in a faster sale and a smoother escrow period. Multiplies the effective effort of getting your home sold. Significantly increases the attention to detail, presenting your home in the best possible light. Doubles the availability to field calls and questions from buyers and buyers agents to facilitate a faster, successful sale.Adds a “Checks and Balances” and consultative approach to all aspects of the sale of your home. Allows one of your agents to be present during inspections and/or repair work, while other agent is focused on critical marketing, sales, and administrative details. You're the number one focus: your transaction will not be set aside while others are completed. Less wasted time, keeping inertia moving towards the goal of getting your home sold. More availability to your agents for greater communication throughout the selling process. Selling a home in Pinellas County Florida is an intensely complex process, filled with minute details. This can be very challenging for the single agent. Better management of document flow to assist a timely escrow closing. Increased traffic through more timely and effective showing schedule coordination with buyers agents. 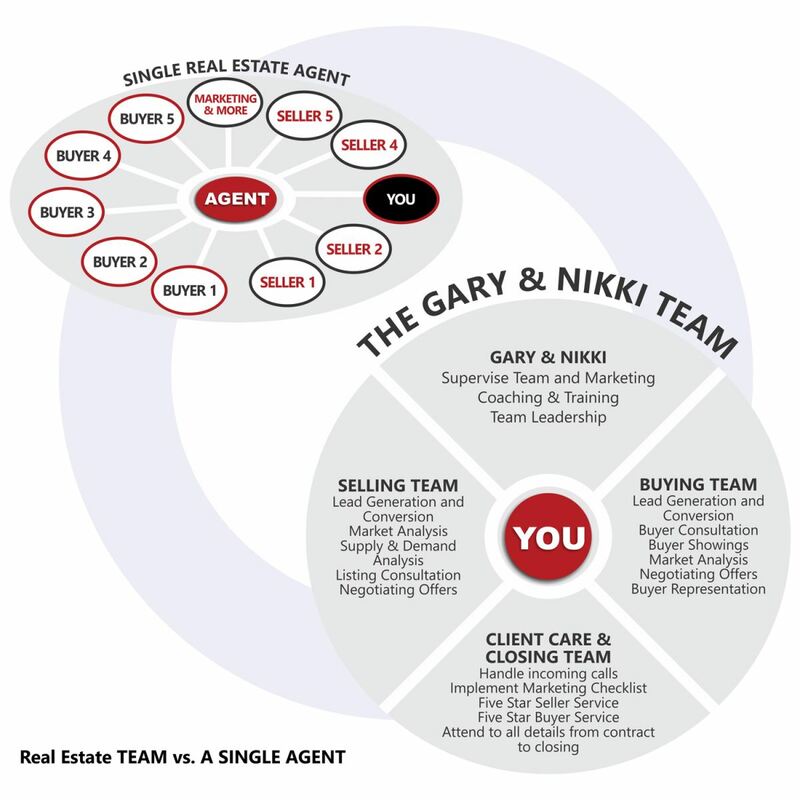 Doubles the listing agent Sphere of Influence in Pinellas County and Tampa Bay area to facilitate increased exposure to more potential buyers, resulting in a quicker sale. The Agent Team concept allows for greater flexibility throughout the entire process. No extra fees or costs for double the attention towards successfully selling your home. You get your desired results! The Gary & Team are full time professional real estate agent team with proven record for selling homes in the Tampa Bay Area!